I’ve had many people ask me what exercises I used to get my six-pack. Today, I’ll share the unadulterated truth with you about abdominal (core) muscles AKA “abs” and how to “get” them. Truth #1: YOU ALREADY HAVE THE DREAM ABS YOU WANT SO BADLY! You just can’t see them as well as you want to because of the fat that rests on top of the muscles. A long time ago, I learned that abs are “made in the kitchen” and not in the gym. There is no ab routine that “gives” someone abs. It’s how we eat that primarily determines our body-fat levels (outside of our genetics). 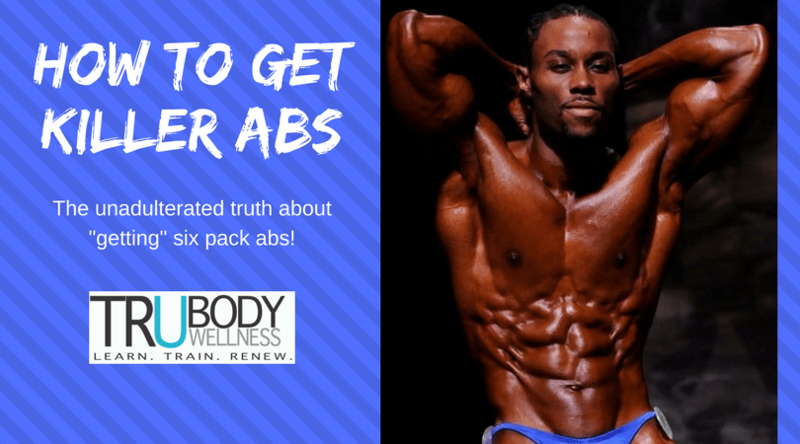 Truth #2: No such thing as an ab routine that will give you six pack abs! Never forget this or think otherwise. All the gimmicks on TV and in magazines are just that– a bunch of gimmicks geared towards the emotions of people (instant gratification) not towards actual results. 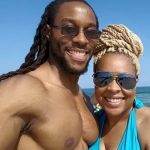 If anyone ever tells you that they have found an ab exercise or routine that will “give” you etched six pack abs, have them read this article IMMEDIATELY, as they have been sadly misinformed. Now that we have the nonsense cleared out of the way let’s get to a true ab regimen we shall call “Operation Six Pack” (O.S.P). 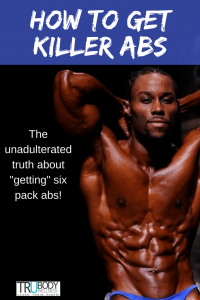 Get the Free Operation Six Pack Toolkit! Enter your information below to download the cheat sheet and sample meal plan, now! Success! Now check your email for your free Operation Six Pack ToolKit! #2 CUT out refined carbs and high fatty foods i.e. chips, pretzels, crackers, white bread, white rice, white pasta, ice cream, fast food, fried foods etc. These are nutrient empty foods and therefore the body has no use for them except to make excess body fat in unwanted areas ESPECIALLY the mid-section. #3 REPLACE refined carbs with QUALITY sources of simple and complex carbs i.e. old fashion oatmeal, sweet potatoes, brown rice, quinoa, fresh fruit etc. I stressed the word ‘quality’ because all calories are not the same. There is a hierarchy of foods, and the sooner you are able to see the truth behind the lies, the better off you will be and the sooner you will actualize your goals. 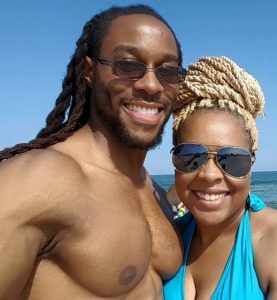 #4 INCREASE your consumption of lean proteins (chicken breast, salmon, tuna, tilapia, egg whites, etc) and fibrous carbohydrates (veggies) i.e. leafy green salads, green beans, mixed veggies, raw veggies, spinach, etc. These, along with the foods mentioned in #3, are nutrient-rich foods and therefore your body can utilize them efficiently. Nutrient-rich implies that they are full of minerals, vitamins, and antioxidants… you know, that good stuff. Plus they are more satiating and give you the long-lasting energy most people “say” they want but don’t want to change habits to attain. #5 EAT 4-6 feedings (meals) per day, each time eating until your body’s hunger is satisfied– not to the point of being full. Imagine your body is a car. Food is your fuel. When too much fuel is put into your car, it spills out. In this same way, feeling full or stuffed lets you know that you are overeating and the portion of your meal that the body cannot use for fuel at this time will inevitably be turned into fat. I refer to meals as “feedings” because I don’t want you to think of the typical, oversized food portion we are accustomed to. A balanced feeding consists of a complete lean protein (All 8 essential amino acids) with a fibrous carb and or a complex carb. This eating pattern will maximize your metabolism and set your body up to start and continue burning the excess fat off your body. You’ll find that you have more energy and feel fuller longer. Remember it’s okay not to finish all your food at a feeding. Save it for later or give it to the dog or little brother in the house. It’s more important that you EAT than finish what you’re eating. If you’re not used to eating this often (as most aren’t except babies and bodybuilders) give you and your body time to get used to it. Trust me, with time you will find that your body gets adjusted to your new habit and it will begin to respond favorably and so will you. If you are staying true to O.S.P., you should notice a difference in your body after a couple of weeks, even without any cardio or strength training. Don’t forget to download the toolkit and let me know how this works for you in the comments below.